Two bedrooms 1,500 sq. ft. first floor only, two master bedroom, two master bathrooms with additional half bath, full laundry room / mudroom, kitchen, dining area, living room, sunroom and two car garage. 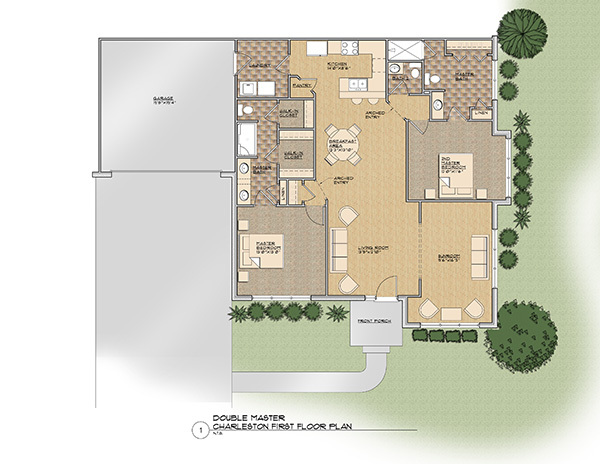 To view a larger floor plan of The Charleston, please click the floor plan image to the right.